Build Your Own LR-308 Rifle For Less Than Anywhere Else On Earth. Higher Quality Than Other Rifles At A Fraction Of The Cost. This Is A High-Quality Upper Receiver That You Can Take To The Bank. This Upper Features A High-End M5 Upper Receiver From Aero Precision. 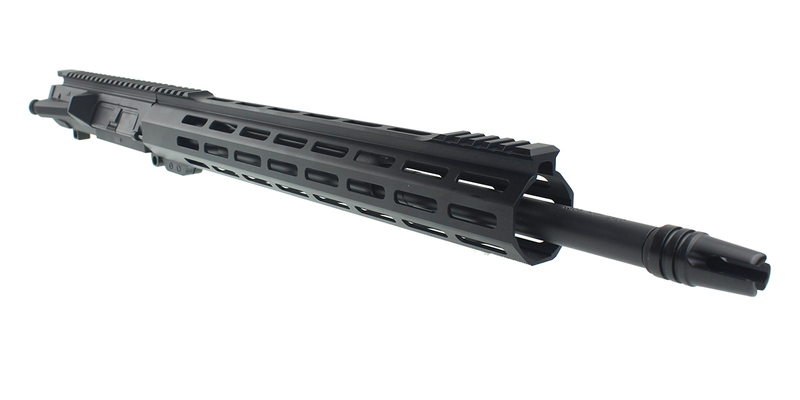 Made Of 7075 T6 Aluminum & Made To Exact Mil-Spec Aero Precision Is The Best Quality & Value Upper On The Market Today. This Build Includes An 18" .308 WIN Barrel From ELD Performance. This Barred Is Made From 4150 CMV With A QPQ Nitride Finish. Made With A Thread Pitch Of 5/8x24 And A Twist Rate Of 1-10, This Mid-Length Gas Length Barrel Was Made To Last. 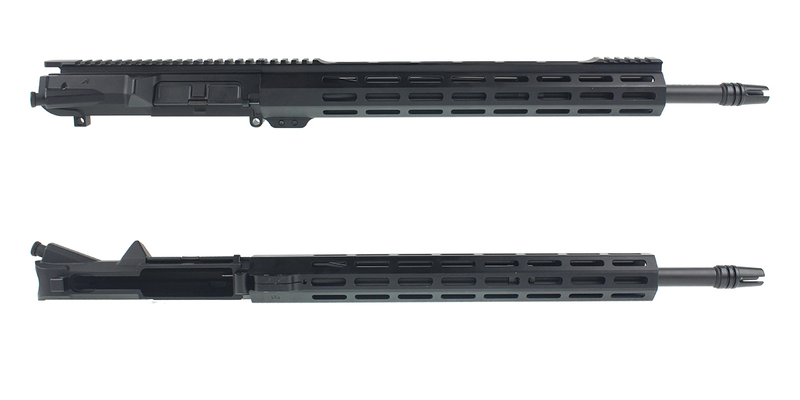 This Upper Also Includes An American Made Davidson Defense 308 15" M-Lok Handguard. This Handguard Enables You To Comfortably Grip Your Rifle In A Variety Of Shooting Positions& Securely Mount A Variety Of Accessories Or A Bipod. Made Of 6061 T6 Aluminum & Finished In Type III Mil-Spec Anodization. This Build Includes A Vintage Style A1 Three Prong Compensator From Luth-AR In A 5/8x24 Thread Pitch. Not Only Will This USA Made Muzzle Device Make Your Upper Look Retro & Cool But It Also Helps Disperse Gases & Reduce Muzzle Lift. Built On The Aero Precision M5 Platform, Like The DPMS LR-308, This Platform Is Compatible With All Manufactured Lowers Except For Armalite, Newer Bushmasters, And Rock River Arms. A List Of Compatible LR-308 Lowers Includes, But Is Not Limited To: Spikes Tactical, Mega, DPMS, Aero Precision, KAC, Windham Weaponry, CORE, CMMG, Black Rain, Christensen Arms, American precision, JP Enterprises, Larue, Les Baer, Kaiser Mil Tech, Mega Arms, Noveske, Matrix, Ruger, Remington, Sig Sauer, S&W, Sword Int., EDM, FD Defense, Detroit Gun Works, Salt Works, GA precision, DRD Tactical, Iron Ridge, Noreen, Poly 80, And More.